equipment for customers around the world. Scroll left or right to see all of the excellent companies that make up the Bradbury Group. The world leader in Coil Processing and Roll Forming Solutions. to help you maximize your productivity. See what our customers are saying about The Bradbury Group. The Bradbury Group has an extensive stocking program to offer new equipment at shorter lead times and also offers previously owned machines from our trade-in program. 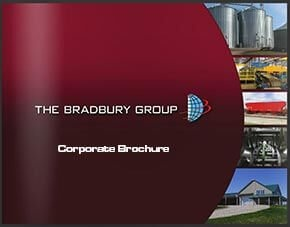 The companies of the Bradbury Group, located in Moundridge, Kansas are known for the cutting-edge technology and the reliability built into every product – and for the exceptional service that helps us satisfy customers worldwide. We strive to set the standard for automated production and systems integration in the metal processing industry. We believe our leveling, cutoff, punch, folding, and roll forming machines and automated systems set the highest benchmarks for productivity, reliability, and safety in coil processing.